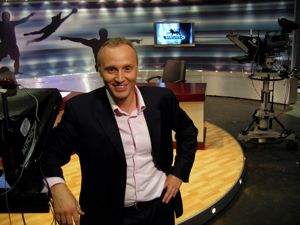 Joe Morrison is a TV anchor for TEN Action+ which provides Live football coverage to the Gulf, Indian subcontinent and Asia. He currently hosts C2K (Countdown 2 Kickoff), alongside resident guests Trevor Sinclair, Carlton Palmer, John Burridge and Derek Whyte. Joe has worked with and been responsible for bringing to the Middle East, a long list of distinguished names from the world of football including Sir Alex Ferguson, Sir Bobby Robson, Paul Gascoigne, Ian Rush, Sir Bobby Charlton and Sheringham. TGT caught up with Joe Morrison and we asked him to share his thoughts on Arsenal FC and some issues making news at the club recently. TGT: Another summer transfer window and another Arsenal star leaves the club. How do you think van Persie's departure will affect Arsenal this season? Joe Morrison: Well any club would miss 30 league goals but RVP has not for me been a prolific gaol scorer every season. I believe Wenger will look at his squad and identify that he must get 30 goals from two or three players instead of just one individual. 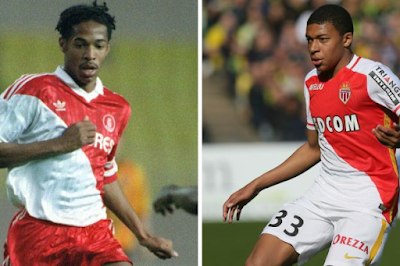 Can three players get 10 goals each this season? Yes of course! Do you think Arsenal need to buy some more players in January? Who in your opinion Arsenal should sign in January? No I feel any club that buys in the January window is financially inept; except a team decimated by injuries. There is no value for money and it smacks of desperation. Look at it in reverse - why is any good player so desperate to leave another club in January window and not wait until season end? With all the new signings, would you consider Arsenal's squad good enough to compete in the Premier League and the Champions League? Do you consider Arsenal as a genuine title contender this season? Yes they are good enough and in Europe as well but no I don't think they will be title contenders. It is not about having a strong team anymore, it is about having a strong squad. Seven years without a trophy. Who is to blame? What do you think went wrong after 2005? I think you have to look at two things: 1) the departure of David Dein was a huge loss in my opinion and 2) the power struggle at the top. Anyone in business will tell you that companies fail when there is not a cohesive strategy from the top. For last couple of years, many fans and pundits have been criticising Arsene Wenger for many reasons. What do you think about Arsene Wenger and the way he has been handling the club, especially the last seven years and do you think any other manager would have done a better job? I always say this to Arsenal fans, I support Newcastle Utd and as a fan if Arsenal ever sacked Wenger we would have him in a heartbeat as would the majority of other EPL clubs. I think he has done a great PR job of holding Arsenal together whilst the in fighting has taken place at board level. I really don't believe he has been given budgets that can compete with the new EPL 'sugar daddies' but has had the dignity not to make excuses. A true measure of the guy! Coming back to the current squad, Arsenal have three main goalkeepers: Szczesny, Fabianski and Mannone. Is it a reliable bunch? Is Szczesny getting the necessary competition for his spot? Not really for a top four club. Wenger has only one weakness in my opinion and that is since David Seaman left I don't think he has ever got it right with his choice of goal keeper. I thought he might have gone for Hugo Lloris but he made a few mistakes when I watched him last year - I am not convinced now but Gooners will be happy to know he is now at Spurs. After a striker I feel the goal keeper is the second most important player in a team! You have been hosting a show on Ten Action that provides football coverage to the Gulf, India and other parts of Asia, how do you see football growing in that part of the world? This is my 8th year broadcasting to this region and only recently have I seen an explosion of interest for football in the Indian sub-continent. Cricket is eating itself. How many more forms of the game do we need? What next T10? It gives me great joy to see the younger generation embracing a TRUE global sport played by EVERY nation. Even the Americans are realising it is the sport of the world. Now to wrap it up, we will have a few quick fire questions. Arsenal's top scorer this season? Best transfer of this summer? Champions League winner this season? Top four for this season? Teams to get relegated this season? Best goalkeeper in the Premier League right now? Best defender in the Premier League right now? Finally, one word for Arsenal FC. Best stadium? Sports direct arena I think you will find. Also David Dein is not the reason we have had no trophies in 7years. It is the fact that we moved stadiums paying for it ourselves. This meant we had to be tight for a while, finally thus year we can relax those purse struts a bit. Next season we will be much better, and if diaby stays fit and plays at least 50games we should improve heaps. David Dein's departure could be one of reasons. it's true that moving to a new stadium had a huge impact but somewhere it looks like wenger might be missing dein. wow same top four as last year? I highly doubt. Chelsea can easily replace spurs.